We are a leading Manufacturer of wooden flooring services from Mumbai, India. We are highly acclaimed in the industry for providing a huge range of Wooden Flooring Services. We also provide this service depending on the requirement of our patrons. 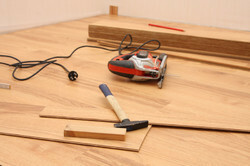 Looking for “Wooden Flooring Services”?